Dexter the kitten and his grandpa both love trains. Join them as they travel on every kind of train imaginable, from steam trains and sleepers to the Zebra Express, and learn all about how the railway works along the way. Dexter even gets to help Grandpa drive the Seaside Special! 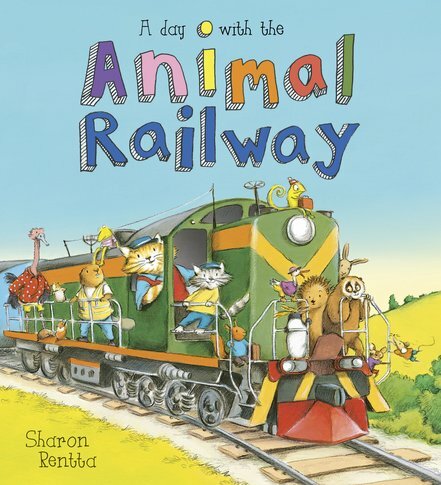 With so many witty, humorous details to explore, children will love this brand-new addition to Sharon Rentta’s internationally award-winning A DAY WITH THE ANIMAL… series.